I had been wanting a juicer for quite some time. 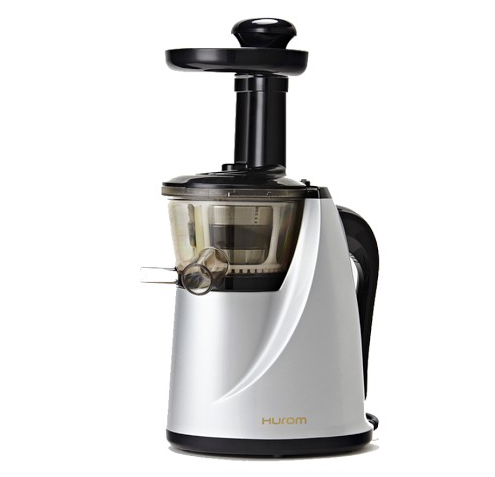 I did my research, read hundreds of reviews, and as of last week, we are the proud owner of a Hurom Slow Juicer! Our half share contained 5 yams, 1 doz eggs, kale, 2 avocados, strawberries, 7 cara cara oranges, blueberries, romaine lettuce, broccoli, mini heirloom tomatoes, 5 apples, and 7 bananas. Not bad for under $40!! The juicer is the perfect addition to my kitchen since we now have such an abundance of weekly fresh produce. I decided on the Hurom brand because I wanted a slow juicer; one that would be able to handle wheatgrass, kale, and spinach and I had read that this was the best for that. I am so thrilled with my purchase - who knew that juicing could be so much fun!! 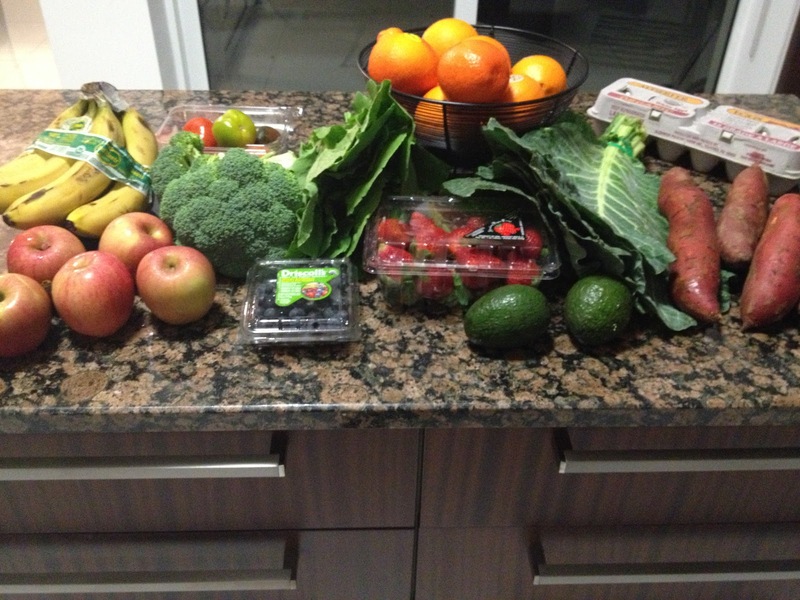 I've literally been juicing everything in sight for the past week. My favorite combo so far has been kale, spinach, orange, apple, strawberry & carrot. So delish!! I've also experimented adding wheatgrass, celery & cucumbers to the mix and just picked up some beets today to try out. I read online that beets are supposed to be the "fountain of youth" when it comes to juicing. 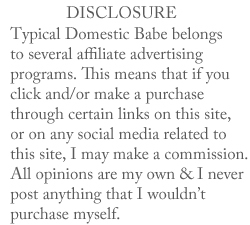 Sign me up for that! Looks gnarly, but tastes great! Since I am a juicing amateur, and I didn't know the slightest thing about juicing, I picked up a few books from Barnes & Noble to help me get started. I wanted to make sure that I was somewhat educated about the benefits of specific veggies, especially when presenting this greenish brown mystery liquid to Adam (who I knew would be not so into this). The books are great for inspiration, and the combinations that they suggest are way beyond what I would have ever came up with on my own. One of the books in particular, "The Juicing Book, by Stephen Blauer" was extremely helpful. It shows you what each veggie is good for nutritionally speaking, and also lists different types of conditions that may be ailing you, and what you should be drinking to help improve that particular condition. So for instance, if you have acne, it says that you should be consuming carrots, cucumbers, dandelion greens, endive, fenugreek sprout, kohlrabi, parsnip, purslane, turnips, and wheatgrass. This book is amazing, and I would definitely suggest it to any of you who are into juicing. 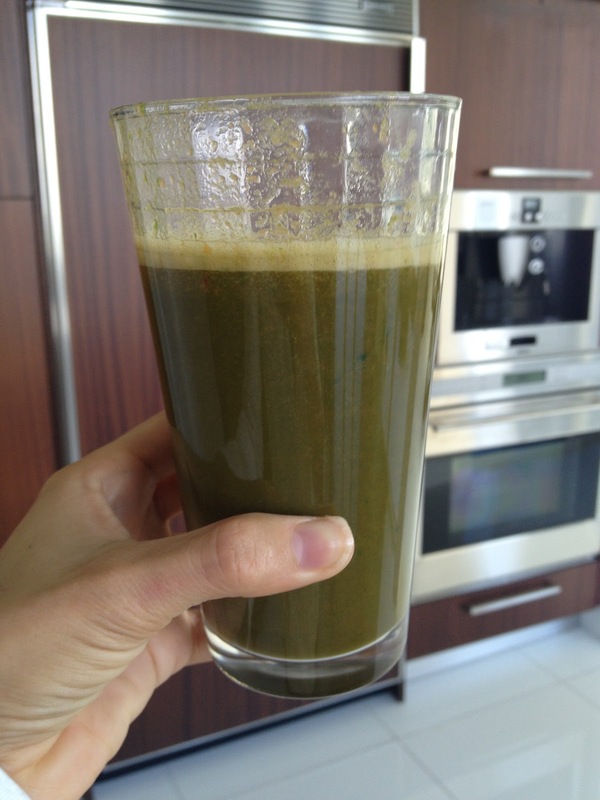 I owned the "Beauty Detox Solution, by Kimberly Snyder" prior to buying my juicer, but pulled it out so that I could make her "Glowing Green Juice". Another tidbit of helpful info that I read about online is to save the pulp from your fruits & vegetables and feed it to your pooches. I've been collecting the pulp from carrots, apples, and spinach and mixing it into some white rice, which in turn gets mixed into Aces dog food. He LOVES it! I'm not sure if I have ever seen his dog food disappear so quickly! I'll absolutely be doing this from now on. This contains carrots, apples and spinach. 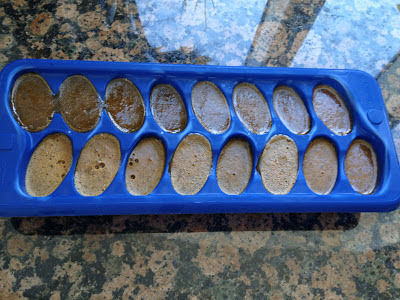 Something else that might be of interest to you is to freeze your juice into an ice cube tray. I didn't read about this anywhere, but I thought that the frozen juice would be scrumptious mixed with vanilla protein powder and blended into my protein shakes. I tried it yesterday, and it was pretty tasty! 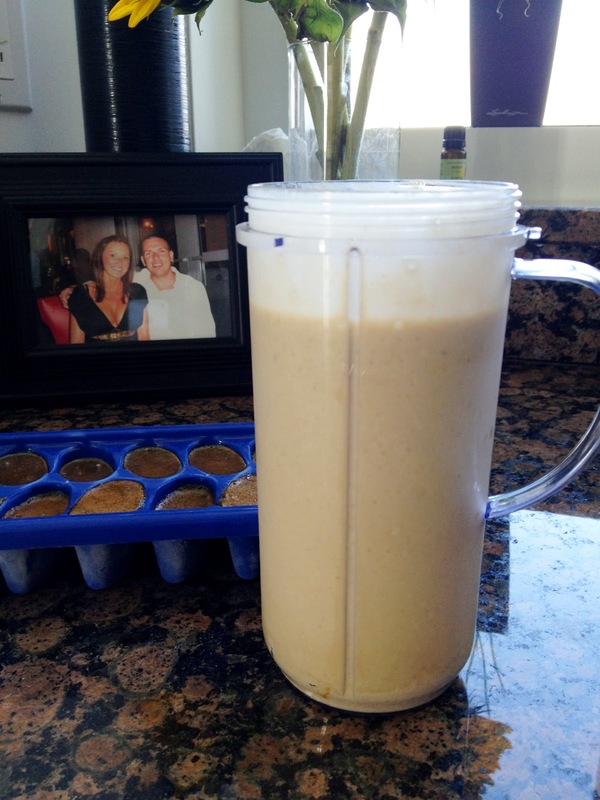 Its such an easy way to add extra vitamins & nutrients to your shakes/smoothies. If you have a favorite recipe, or a creative way that you reuse the pulp please share it with me! I would love to hear your comments & suggestions. Super interesting, and informative! Way to go Andy!